As the base for almost every coffee drink, if you want to enjoy the best possible quality coffee at home, you need a trustworthy espresso maker. The trouble is, unless you are already a coffee connoisseur, buying one can be a difficult decision to make. There are literally thousands of different drip coffee makers on the market! Which is right for you? Some are geared toward cafés, others for large, bustling restaurants and some are perfectly placed for a couple of fabulous cups of coffee to be enjoyed in the comfort of your home. Working out which is right is a whole different ballgame, especially as you also need to factor in quality. A cheap espresso machine won’t deliver as good a cup as an all-singing, all-dancing expensive respected brand’s machine but what if you don’t want to spend a huge amount of money on an expensive espresso machine? We’ll help you with our guide on how to choose the right espresso maker for you! There are still other things to think about! Regardless of the espresso machine, you do eventually decide on, you do need to think about other aspects too. No matter how good your new espresso machine, how many extra gadgets it has, how many switches, how fast or how slow it brews your coffee, your machine will only ever be as good as the coffee beans you use. Buy cheap coffee beans and you’ll get cheap-tasting coffee. If you don’t treat your coffee beans with respect, they will deteriorate so remember; your ingredients play a huge role of importance in that final cup. So, always invest in your beans! 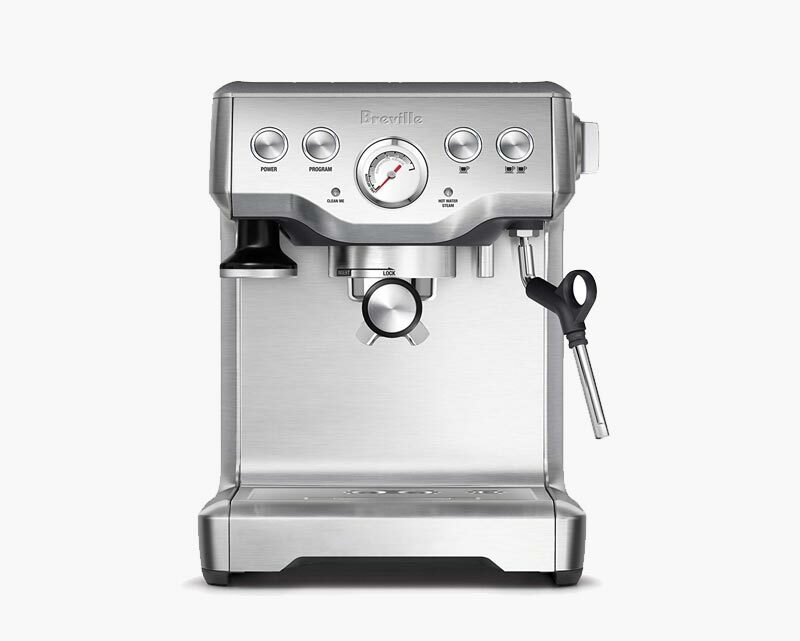 Breville BES870XL – amazing espresso maker! You won’t be dissatisfied if you want to learn and take the time to develop your skill. It took us about 2-3 hours to dial it into that perfect espresso shot so be patient and experiment. This machine will give you a full variety of opportunities you never dreamed were possible at home. With really small adjustments and some great Italian roasted whole beans, the Magnifica consistently puts out shot after shot of delightful espresso that will surpass anything you could get at greatest coffee shops. Warming up in less than a moment also including a nifty mug warmer, making espresso couldn’t be simpler. The 15-bar pressure will give you amazing quality drinks without needing to leave the comfort of your home. 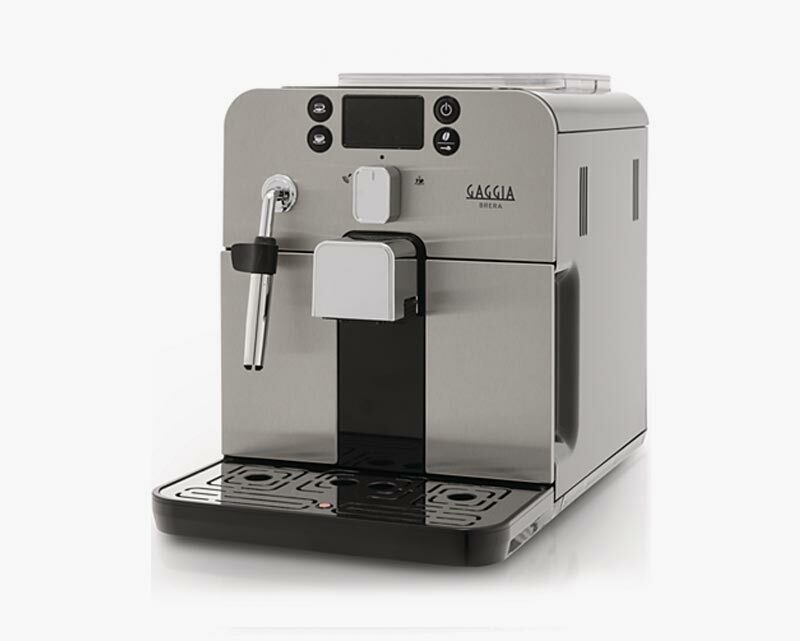 Gaggia Brera is a cost-effective good espresso maker, which is ease of operation, functions, and aesthetics. It has some minor disadvantages, such as a small water reservoir, which requires a frequent refill and small drip pan, which requires frequent emptying. Overall, it is an amazing machine, deserving 3rd place in our chart. The best cappuccino machine for its price! The espresso shot tastes really good. Milk frothing is outstanding, the foam is thick and doesn’t disappear in a minute. You can add extra frothed milk or espresso into your latte. The rich coffee taste can be varied by choosing single or double button. Breville BES840XL is an absolutely incredible home espresso maker for the price. It’s not easy to create a high-quality espresso by any means, but once you understand how to control all the major espresso variables (the type of beans, tamp pressure, grind coarseness, dose), this machine offers absolutely exceptional results that any expert barista will be extremely fascinated with! If you are looking for workhorse without the fancy electronics this machine is for you. 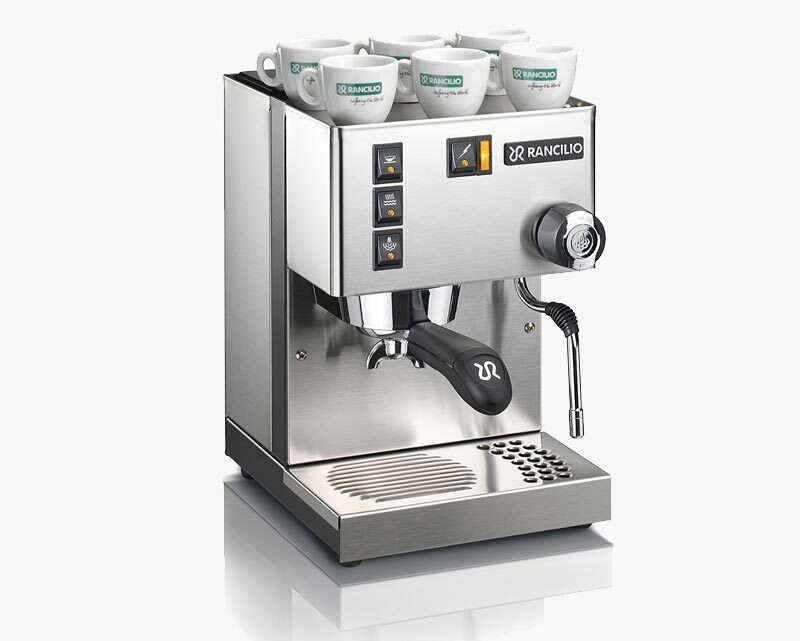 This Rancilio traditional style semi-automatic espresso machine with simple controls, solid brass boiler, and a head group is built to last. A fantastic machine at a great price! 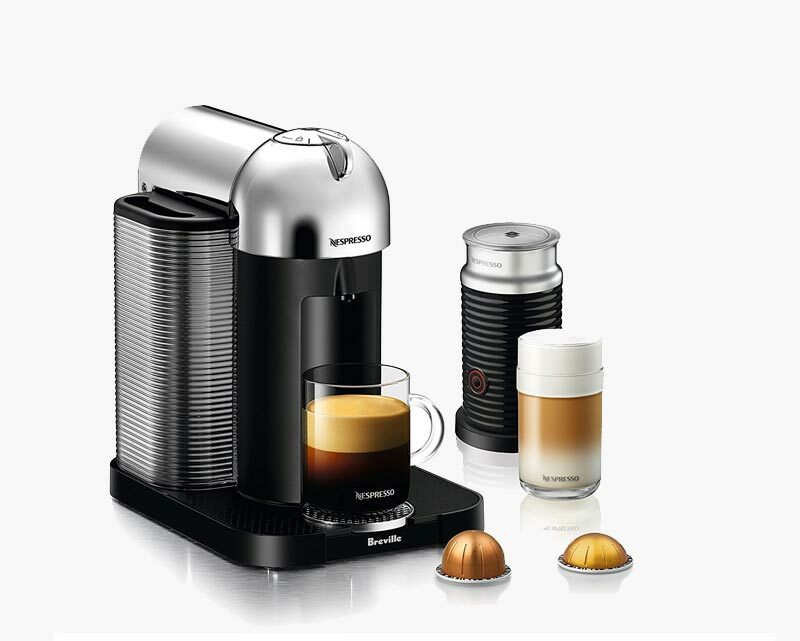 Nespresso Vertuo by Breville is very easy to maintain, quick and easy to use. 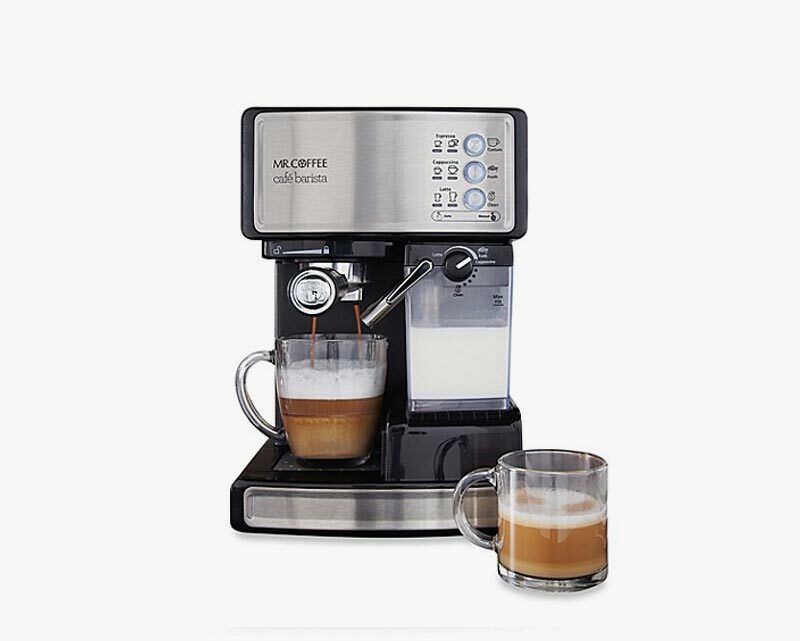 With this machine, you can make delicious mistos, cappuccinos, lattes, and more. Obviously, you want a quality machine because you want to experience the best possible coffee! It appears that there is an almost limitless range to choose from so to make it easier on yourself you simply have to ask a few questions about what you really want out of your espresso machine. First things first, what type of coffee machine do you want? Are you looking for something that is minimal-fuss? Do you want something quick and easy or something that needs lots of manual labor? Perhaps you only want espresso or maybe you want a machine that can make a number of different style coffees. You need to get the right one for your needs. How often are you going to be enjoying an espresso? If you plan on getting your morning jolt from your espresso rather than the usual cup of instant joe, then you want something that is both convenient and sturdy. A 12 month or 2-year warranty also wouldn’t be a bad idea if you plan on making a sizable investment. For the full espresso experience, you really need to go for a pump driven unit to push that steam through at high pressure. Steam driven units just don’t have enough power to draw out the full flavor of the beans. If your budget is a concern, there are quite a few units for under $100 which will do the trick. This is the perfect price point for students who need a few shots of espresso to get through an all-nighter. Many espresso machines use pre-made pods to create the beverage, meaning you are locked into that particular brand for the life of the machine. While these can be a little more expensive they are still cheaper than a visit to Starbucks and are incredibly convenient and quick; insert the pod, wait a few seconds, and then enjoy with no mess and no fuss. There’s a huge variety of flavors to choose from in whatever brand you settle on so you are sure to find the perfect flavor. One downside is that there is more wastage involved due to the extra packaging. There are varying levels of automation you will need to consider when deciding on an espresso machine as they vary from old school fully manual like they used to do in the old country, to fully automatic which does everything except drink the espresso for you. A quality espresso has a great looking crema on top. This is the foamy swirl that sits right at the top of your cup. The right consistency coffee machine will deliver a crema that’s a few millimeters deep and that looks glossy. Espresso should be a golden brown color. The Espresso quality is important because it’s the base of so many other coffee drinks. Now, on the market there are so many different machines to choose from, it’s quite a minefield. If you like trying lots of different coffees, the espresso machine is ideal for you as they can create Lattes, Cappuccino, Macchiato, Espresso and so many more. These Espresso machines use capsules that are pre-loaded with different types of coffee and provide the exact quantity required. They are easy to use and there’s little mess involved. There are lots of different systems available, for example, the Nescafe Dolce Gusto, Nespresso, Tassimo and the A Modo Mio. Whichever you choose (whether one of these or another) remember you can only use the compatible pods. The benefits to a capsule coffee machine are enormous. They’re easy to use; there are plenty of flavor options to choose from however they are generally more expensive as the capsules cost more than regular coffee machines. It’s also worth pointing out that if you like milk-based coffee drinks, you’ll find some capsule machines don’t offer this option and you’ll have to buy a more premium machine which will be more expensive. If you’d rather a different type of machine then you can go for the manual coffee machine which provides fresh, high-quality coffee. They do need some getting used to but once you know how to use them they’re a great coffee maker. The big bonus with manual Espresso machines is that they deliver an incredibly aromatic and great tasting cup of coffee. If you do choose a manual Espresso machine, you need to think about whether or not you use coffee beans or ground coffee. For the perfect Espresso, you need a fine grind because a manual Espresso machine needs the right amount of time to extract the coffee from the shot and transfer it into a cup of coffee. Coffee beans need to be ground down so if you do opt for these, you must use a burr coffee grinder or a blade grinder. If you buy pre-ground coffee, read the label to make sure that it is compatible with your Espresso machine. Using a manual coffee machine might look difficult but once you know how you’ll find it a breeze. Your coffee machine will have a group handle. This is where you dispense your ground coffee. However, before you do this, you need to tamp your coffee. Tamping means applying pressure onto the grounds so the top layer is completely flat. Pay attention to the machine you buy, some have automatic tamping built-in but others require you to do it yourself. Actually, manual tamping creates better results. It’s trial and error to begin with but once you learn exactly how to tamp, you’ll create the best cup. Once you’ve tamped your coffee, clip it into the head. This is where the water is dispensed. If your manual coffee machine can create milk then all the better. Before you buy one, check whether or not the machine can froth your milk. Most home machines have a single boiler, that means they can pour an Espresso shot and even make steam for the milk but they can’t do both at once. If you make a lot of milk-based coffee drinks, you need one with a dual boiler. Froth your milk at a high temperature and make your Espresso coffee next if you only have a machine with a single boiler. Dual boiler machines are more expensive. They are more convenient as you can create your milk froth at the same time as you extract your Espresso, so you get your cup of coffee delivered faster. The advantages of manual Espresso machines are that you still get the best coffee machine and you control how your coffee tastes. Once you get the hang of yours, you won’t want to use anything else! This machine allows you to use lots of different types of coffee beans and flavors. It also eliminates the need to learn how to use a manual coffee machine. A bean-to-cup machine has a special area called the Hopper which holds your coffee beans. When you’re ready to go, you switch your machine on and it grinds the beans. It also tamps them and distributes the grind into a cup. These types of machines deliver perfect Espresso with the right crema and give you complete control over your cup of coffee. Some bean-to-cup coffee machines come with a manual milk frother. They have a little wand and manual buttons that help you prepare hot milk. More expensive bean-to-cup machines have automatic frothers where you add milk to the milk container, select the coffee you want and the machine does the rest! If you prefer a mug, check the clearance! Remember to set your bean-to-cup machine to deliver the exact volume for your cups! As well as investing in good quality beans, you need to be honest with yourself. If you’re happy with your instant coffee – do you really need an espresso maker? If you don’t care about that crema on top or that unmistakable aroma of freshly brewed espresso… or that delightful hit of caffeine that comes from real coffee as it filters through your own taste-buds then frankly, you’ll be ok with a kettle and a jar of instant! However, if you do want an intense flavor along with the pale honey-colored crema on top then yes, you need a decent quality espresso machine. Be prepared to part with your cash because a great espresso machine might be expensive but it should last a very long time and give you coffee satisfaction with every shot! You like different coffee drinks too. Espresso is the basis for most coffee drinks (as we’ve mentioned) so if you want a latte, cappuccino, macchiato, single espresso, double espresso or a mocha then you will need to purchase an espresso maker (and you’ll need one with a milk arm that creates foam). The enormously useful espresso machine makes a huge variety of different drinks, enough to satisfy even the fussiest coffee drinker. It also means you don’t have to stick with one type of coffee so you get plenty of choices when you want to enjoy something different. If you’ve already started doing your research, you’ll already know that there are lots of different types of espresso machines (just to make it even more complex!). However, it’s actually uncomplicated when you know what they are and what they do. We’ll give you the lowdown. The manual espresso coffee maker is exactly as it sounds. It’s manual so you have to be prepared to put an effort in. Lots of people like the ritual of making espresso coffee and if that sounds like you then a manual espresso maker really allows you to savor the preparation. Manual means you control the entire process, from start to finish (and you can take the credit for it too, unlike automatic espresso makers!). Before you get excited about the manual machine, you have to remember that as with any machine, you’re going to have to practice to get it perfect. Manual espresso makers come with a large lever attached to the side (not the rule, they can be at the front too) and they make fantastic coffee, pretty much guaranteed. They also look good so they’re a great conversation piece. Although if you buy one, do get to know how it works, because you’re bound to be asked for a cup of coffee from it! Using a manual espresso machine isn’t as daunting as you might think because each component does complete its own task. What you need to do is think about using the right coffee grounds, tamping them, administering the correct amount of water and understanding when to operate the machine to extract the espresso. Once you’ve got it right, it becomes second nature. Real coffee connoisseurs should definitely own a manual espresso machine at some point, in order to experience that indescribable feeling of making sensational coffee! If a manual espresso machine sounds like too much hard work then you might be tempted by a semi-automatic espresso machine. It is exactly as is described; it works by using a part automatic mechanism, part manual labor. These machines are easier to use than manual espresso machines but not quite as easy as completely automatic espresso machines. The main difference is they have electric pumps so they do the work for you and they’re cheaper than the manual versions. However, they still have a boiler, porta-filter, and an extraction pump. Your job is to decide when to start and stop the extraction process. Automatic machines do it all for you and manual machines wait for you to do it for them! You still need to fill your porta-filter with your coffee grounds and you still need to tamp and level those grounds. You also need to start up the machine so that it draws water from the boiler and you have to stop the pump once the espresso has been delivered – so, if you like to be a part of the process, a semi-automatic espresso machine might well be the right type of machine for you! The automatic espresso makers are definitely right for you if you’re happy for something else to do all the hard work for you! In fact, the automatic machine does everything (except actually drink the coffee). They’re also easy to use and there are plenty of affordable versions available to buy so whatever your budget, you’ll normally find the right one for you. Automatic machines grind your beans, tamp the grounds, level it off and start up the extraction process. Some models are so advanced, they can be programmed to switch themselves on and off too. Minimum fuss and maximum flavor, they’re a useful addition to your kitchen if you’re a busy person who still wants a great tasting cup of coffee almost on-tap. Depending on the model you choose, many automatic espresso makers can even fine-tune your grinds to the desired level you want and they can adjust the shot strength and quantity. You will still need to do some work, for example, add the coffee grinds to the porta-filter, add the water and clean out the porta-filter. The one downside is that you don’t get as much control over the final flavor of your coffee. As if there wasn’t enough choice there’s also the super-automatic espresso machine to take into consideration! They are the ultimate lazy person’s coffee machine – literally, all you have to do is add your preferred coffee grinds and press a button! Simple! If you’re busy, have no time and can’t be bothered with clearing up then you need the super automatic. It’s also useful if you drink lots of coffee and don’t want to wait for your espresso to extract itself. 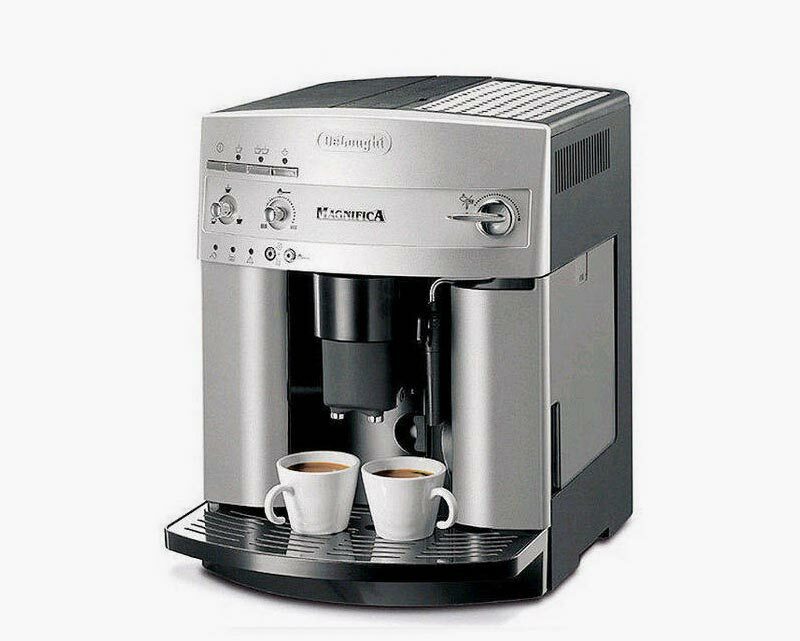 This machine is useful if you entertain a lot too, as you can get that coffee to your guests fast! However, the super-automatic machine is not for you if you’re a coffee control-freak because you won’t get the best out of your favorite coffee beans. However, on the upside, these super-automatic espresso machines are relatively inexpensive, so if you do buy one and still prefer some control, you won’t have spent an arm and a leg! How fast do you need your espresso? If you wake up late every morning and want to get going quickly, you won’t have time to fiddle around with a manual version. Even a semi-automatic espresso machine needs some tender loving care so don’t waste your time. Instead, opt for an automatic or a super-automatic and you’ll be on your way to work fast! Do you entertain a lot? If so, no one wants to be stuck in a kitchen grinding, tamping and dealing with pressure gauges. You need something that delivers good coffee in a hurry. One of the super-automatic versions may be good for you. Are you a perfectionist? If you like to take control and do things for yourself then you’ll really enjoy the ritual of using a manual espresso machine. You take charge, you administer the beans, you pour in the water and you even apply the pressure! Perfect coffee for a perfect person. Are you saving your money? If so then don’t buy a very expensive coffee machine. While the manual machines do generally deliver a superior cup of coffee, they are costly. If you’re on a budget, a semi-automatic or an automatic espresso machine will be better for your pocket. Are you ultra-fussy at home? In which case you won’t want an extra mess to clean up. It’s all very well buying an easy-to-use model but if it’s hard to clean you won’t ever want to use it. Buy something that’s easy to wipe down and rinse, that way you’ll always want to use it. Are you a coffee connoisseur? If so then you will want one of the best possible models available especially if the flavor is all-important. You’ll need to think about the number of boilers on your machine (more boilers = better flavor). You’ll also want to avoid steam pressure and you’ll need something that keeps the temperature steady. If you’re still not sure, buy something somewhere in the middle, experiment and get to know what you like and what you don’t like to prepare yourself for the next coffee machine step-up at a later date! Are you limited on space? If you have a small kitchen think carefully about the size of the machine you’re buying. Manual machines tend to be bigger. If you live on your own or there are just two of you in a small kitchen, measure up and check the measurements of your desired espresso machine before making that purchase! You might also want to consider whether or not the machine you buy has access to customer service. They’re great when you need a little extra help. Warranties are another must, especially if you’re considering a high-cost model. You want to know that what you’re buying is built to last so do look for a machine that comes with a warranty. Also, do you want to be able to make a multitude of coffee drinks? In which case you might want a frother (for cappuccinos and lattes) and a milk jug. If you don’t want to grind your own coffee, you need a machine with an automatic grinder. Built-in water filters are also useful as it helps with coffee flavor and a cup warmer is a great little addition. Finally, if you want something that always delivers the same tasting coffee, choose a machine with programmable settings so you keep your favorite setting. Some machines have multi-settings so other family members get their preferred flavor too – clever! What Espresso Machine Brands Are The Most Reputable? If you are like me, then you are crazy about espresso. I just can’t get enough of this energy enhancing, delicious tasting, life-improving drink. But I do draw the line at poor quality espresso. So how do you get a quality espresso? 1. You won’t have to keep dropping $2-3 every time you go to the coffee shop. Let’s face it, nurturing your habit is expensive. If you get two drinks at a coffee shop, five days a week, that = $1,300 per year. You could easily afford a home espresso machine such as one of the many espresso machines for less than $499 for much less than the cost of running into your local coffee shop every time you want a shot of espresso. 2. You will get a fresher and better tasting drink. While many do, not every coffee shop grinds the espresso just prior to pulling the shot. But if you have your own home espresso machine, then you will control the quality. 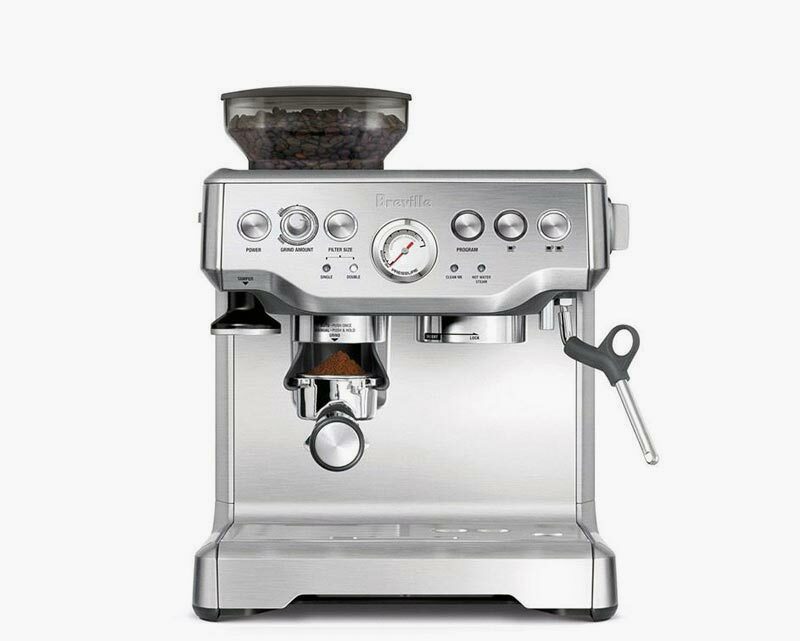 An espresso machine like the Breville Barista Express actually comes equipped with a built-in grinder so you can always enjoy a freshly brewed espresso. 5. There are few kitchen appliances that look as cool as an attractive espresso machine perched on your countertop. Would you rather have a nice looking espresso machine such as the Breville Café Roma for less than $250 sitting in your kitchen for guests to see, or a bunch of leftover paper coffee cups from your local coffee shop? Hopefully, the above guide will help you make an informed choice. In summary, you need to think carefully about your lifestyle, your available kitchen space, your budget, the type of coffee drink you want to achieve and the speed in which you want your coffee drink delivered! Once you’ve bought your coffee machine, if you’ve done your research you should have made the right choice. Now it’s time to sit back, relax and indulge yourself in your very own home-made espresso.